Find Westmount_Okotoks homes for sale & real estate Okotoks: Search 0 Westmount_Okotoks homes for sale with attached, detached Okotoks homes, REALTORS® on Sunday, April 21st 4:18pm more Westmount_Okotoks homes for sale. Search The town's name is derived from "ohkotok", the Blackfoot First Nation word for "rock". The name may refer to Big Rock, the largest glacial erratic in the Foothills Erratics Train, situated about 7 km (4.3 mi) west of the town. Before European settlement, journeying First Nations used the rock as a marker to find the river crossing situated at Okotoks. The tribes were nomadic and often followed large buffalo herds for their sustenance. David Thompson explored the area as early as 1800. Soon trading posts sprang up, including one established in 1874 at the Sheep River crossing on the current Okotoks townsite. This crossing was on a trade route called the Macleod Trail, which led from Fort Benton, Montana to Calgary. In 1879, the area saw the killing of the last buffalo. Government leasing of land for one cent per acre ($2.47/km²) began in 1880. This created a major change in the region. The first settlers arrived in 1882. A community grew up around a sawmill that was established in 1891, and it would grow in size. The last stagecoach stopped in Okotoks in 1891 when rail service between Calgary and Fort Macleod replaced horse-drawn travel. By 1897 the community name had changed three times: from Sheep Creek to Dewdney to Okotoks, assigned by the Canadian Pacific Railway. The rail line is still a main line south to the U.S. border, but the last of the passenger service (Dayliner unit) ended in 1971. 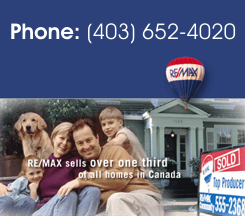 Research Westmount_Okotoks homes for sale real estate statistics, REALTORS® in Okotoks on April 21, 2019. Currently there are 0 active listings in Westmount_Okotoks average asking price of $ highest price property $0.00. Currently 0 properties include Attached Homes, Detached Homes, For Sale by Owner, Luxury Homes plus 0 Condos For Sale, Townhomes, Rowhouses, Lake Homes, Bank Foreclosures. Research Westmount_Okotoks real estate information, real estate reviews, listings, Luxury homes condos, maps, townhomes and local REALTORS®. Find today's Westmount_Okotoks real estate statistics, past sales history, dates and prices public schools explore community information parks and daily breaking news. of real estate recently sold nearby, and more. 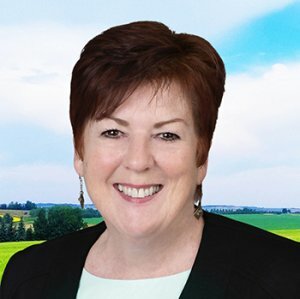 Register for a free account as the market is changing you need experienced Top rated real estate agents experts ready to answer your questions about Attached homes, Detached homes, neighborhoods, schools, and the newest listings for sale in Westmount_Okotoks. Compare golf courses, Westmount_Okotoks maps , wonderful restaurants, shops, off leash dog parks and of course the people! IF buying or selling real estate, you can expect expert advice, high quality service, straight forward communication plus attention to detail. Information on homes for sale, foreclosures, bank owned, acreages, Lake homes, New construction. Find new Westmount_Okotoks Homes For Sale, compare Westmount_Okotoks homes with attached, detached and single family homes. Westmount_Okotoks is a residential neighbourhood in quadrant of Okotoks with plenty of open area parks and recreation. Explore Westmount_Okotoks real estate in Okotoks, luxury homes, Open Houses, Westmount_Okotoks REALTORS®. Enjoy walking parks, play hockey or register and receive today's news, market information & community reviews. Research communities of Okotoks by Google maps, Streetview or locate schools, churches, transit routes, associations.